- His personal experience and how this genocide has impacted his life and his family. - How our voices helped and made a change on Darfuri people's live and preserved them. 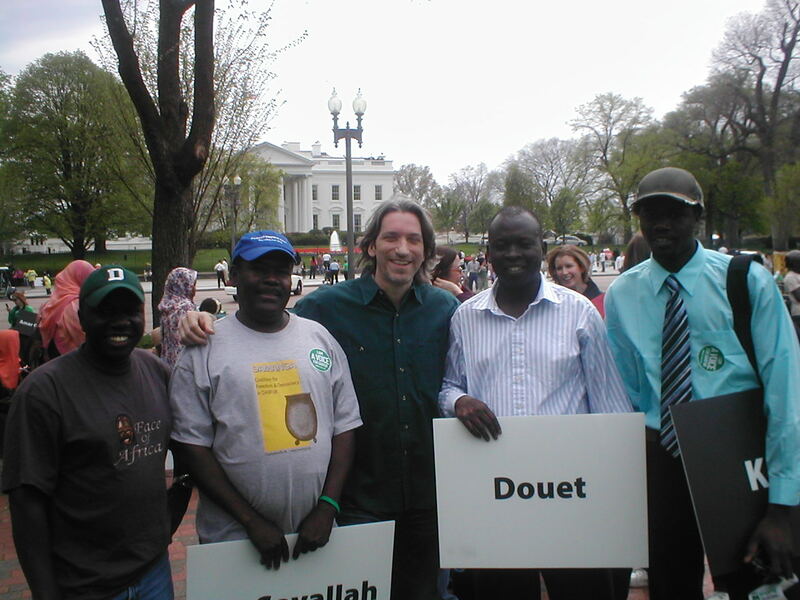 "On the afternoon of Sunday, April 19, 2009 the Save Darfur Coalition will bring survivors from past genocides and mass atrocities including Darfur, Rwanda, Bosnia, Cambodia, the Holocaust, and Armenia together with faith leaders, leading anti-genocide advocates, and local activists to reflect on these atrocities and call on President Obama to act now on Darfur. The event will begin with a memorial ceremony by survivors to honor the lives that have been lost. This memorial will be a powerful symbolic call to President Obama. Following the ceremony will be a speaking program featuring individuals who have been "upstanders" in the face of genocide. The program will highlight the importance and power of "standing up", the role of the Darfur movement as part of the broader anti-genocide movement, and the potential to effect change by acting in this political moment".